The company received confirmation of the license from the Ministry of Minerals of Tanzania. It is subject to a fee payment and acceptance of technical details. Shares of graphite explorer Walkabout Resources (ASX:WKT) surged more than 17 percent on Thursday (August 30) after the company was granted a mining licence for its Lindi Jumbo graphite project in south east Tanzania. The company received the confirmation from the Ministry of Minerals of Tanzania, which is subject to a fee payment and acceptance of technical details. Now that Walkabout has the green light for Lindi Jumbo, it will be able to further progress funding options and construction plans. “The mining license approval is the final major legislative requirement for the project,” Allan Mulligan, director of Walkabout, said. Looking ahead, the company will agree the engineering, procurement and construction contract with partner Yantai Jinpeng Mining and Machinery. According to a 2017 definitive feasibility study, Lindi Jumbo is set to produce 40,000 of graphite concentrate per year over a mine life of 20 years. The project, which the study says is the highest ore reserve grade in Tanzania at 16.1 percent total graphitic carbon (TGC), has a capital cost of $29.7 million. The project also has a measured, indicated and inferred mineral resource estimate set at 29.8 million tonnes at an estimated grade of 10.9 percent TGC. Aside from the Lindi Jumbo project, the company is also exploring in southern Namibia at the Eureka lithium project. 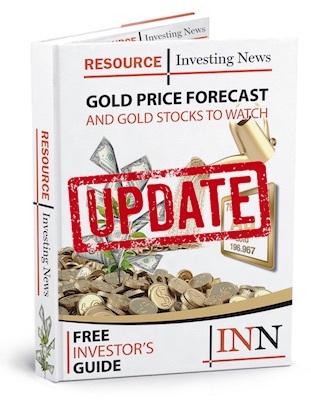 The company has also acquired an exploration portfolio for gold and base metals in Northern Ireland and is participating in the Tyrone cobalt–copper–silver joint venture. On Thursday, shares of Walkabout were up 17.86 percent in Sydney, trading at AU$0.16.